Finding a party outfit for Autumn is, well, impossible! There is no way to party in style without a coat to get you from A to B. However, for a look that won’t make you freeze from head to toe, over the knee boots are going to be my go-to for this Winter season. There’s never been a time where florals have followed me from the Spring/Summer season to the Autumn/Winter season but Shilla the Label have nailed the dark floral print and I kinda/really want to now wear this outfit out this weekend for a few drinks… Who’s with me? 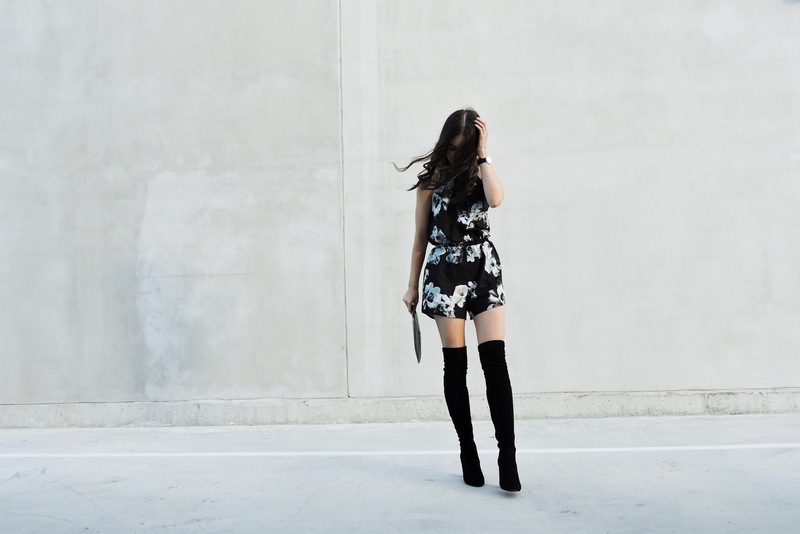 Pairing dark florals with must-have OTK boots is on the top of my list for the next few months! What are your thoughts on dark florals and OTK boots? Those boots! ♥ you nailed the look as usual, love it! Love the look. Never would have thought of this combo. Thanks for sharing! 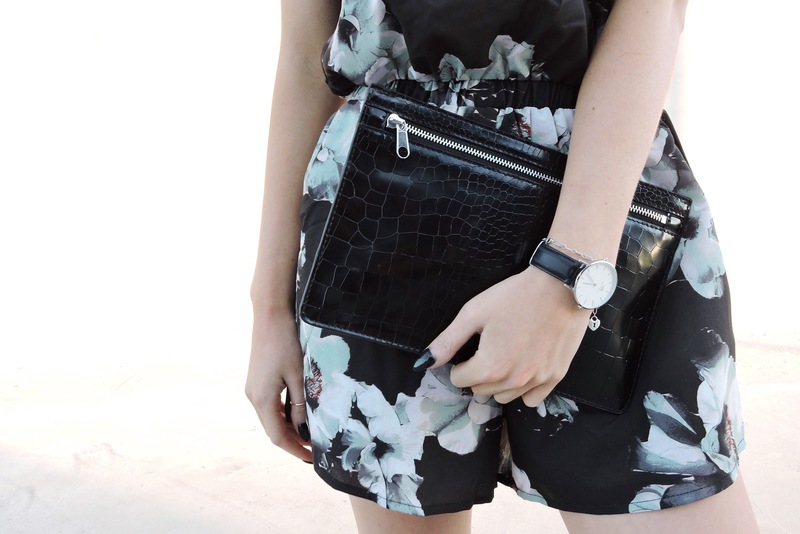 Love the dark floral romper here! And those boots are killer. Thanks for sharing! Adorable! The romper with the otk is perfection. Those boots are everything. I would definitely wear that outfit out for drinks. Lovely playsuit, with boots it looks marvellous! i LOVE a romper with boots in fall ! 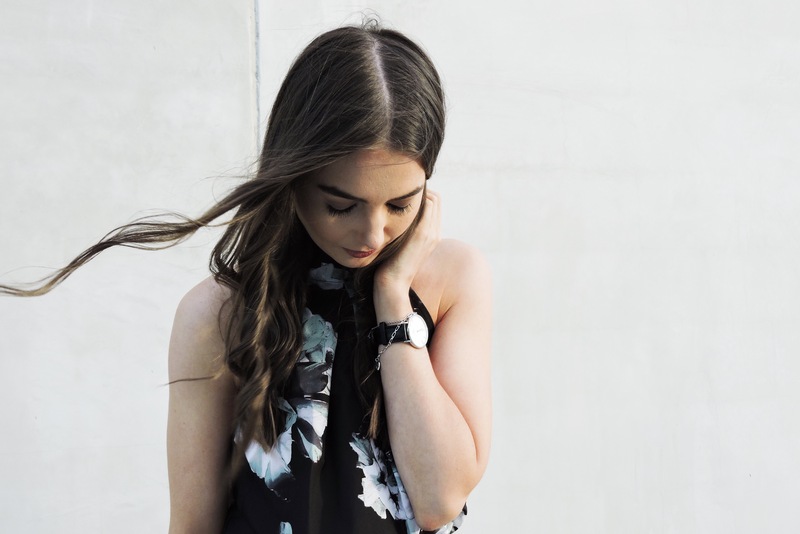 Fall Florals too – bomb.